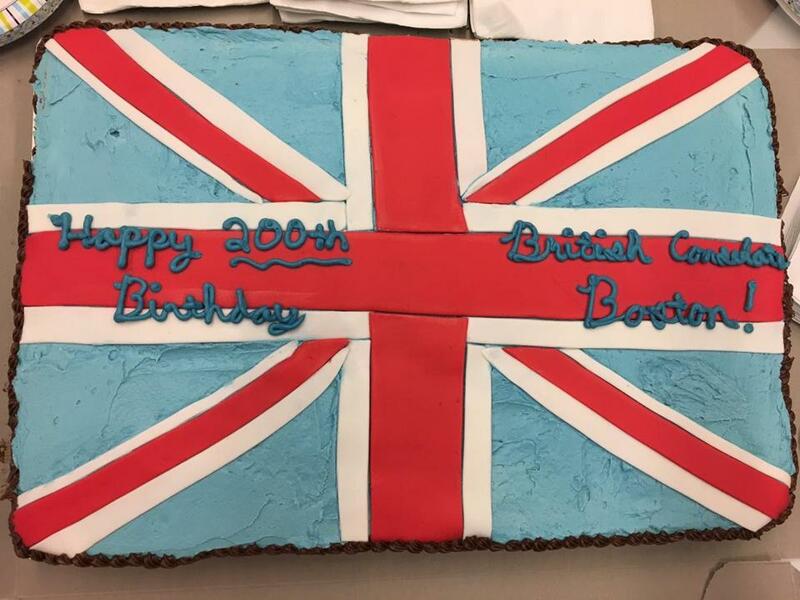 The cake celebrated 200 years of the British having a consulate in Boston. Wednesday marked 200 years since the United Kingdom established a consulate in Boston. So what better way to celebrate than to have a birthday party? There was also, of course, a cake in the red, white, and blue of the Union Jack to mark the occasion, and consulate officials took to Twitter and asked British users to share stories of their time in New England. Officials also posted the initial decree that established the consulate. While the United Kingdom has its embassy in Washington, D.C., it has also established several consulates across the United States. These offices offer a wide array of services to UK citizens inside the United States, such as helping to replace lost travel documents or supporting tourists who run afoul of the law. Besides Boston, the United Kingdom has consulates in Atlanta, Chicago, Houston, Miami, New York, San Francisco, and Los Angeles.